We write state wide! Including Canadian, Amarillo, Canyon, Panhandle, Perryton, Wheeler. From Dalhart to Brownsville… We’ve got you covered! The insurance is great. Our daughter was rear ended and the other person's insurance wasn't going to pay and TPI got the other insurance to pay for repairs. We've been working with Dale and his team for several years. He has our business and our personal home and autos covered. We trust him! TPI helped us file a claim after our house fire. He held our hands through the process and was so patient to answer our questions and be sure we were taken care of. We own a restaurant and Dale has been our agent for some time. 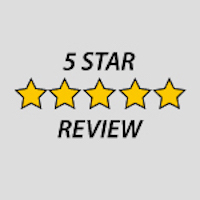 We have always been pleased with the level of service and care he provides.